The stock market pullback that started towards the end of September continued during October. An equally weighted portfolio of non-commodity JSE-listed ETFs lost 2.87% in October. Funds which track local assets declined 3.43% on average while those which track global markets ended 2.01% down. Intellidex’s selection of ETFs, on an equally weighted basis, was not spared but fared better losing 0.78%. Domestic headlines during October were centred on the resignation of Nhlanhla Nene as finance minister and the subsequent appointment of former Reserve Bank governor Tito Mboweni as his replacement, the Medium-Term Budget Policy Statements (MTBPS) and the investment conference. Economic data released during October shows the economy is still struggling. Vehicle sales were disappointing with sales for September declining 1.9% year-on-year (y-o-y). Manufacturing production, which had grown 1.3% y-o-y during August, surprised strongly to the downside, coming in at 0.1% y-o-y against consensus expectations of 1.9%. Mining production also disappointed, slipping further by 1.8% y-o-y (August: -6.7% y-o-y). Unemployment worsened to 27.5% in quarter 3 (2018Q3) versus 27.2% in quarter 2. In the US, the economy grew at a faster-than-expected 3.5% quarter-on-quarter (q-o-q) in the third quarter (2018Q3) on strong consumer spend. Unemployment remained on a 48-year low of 3.7% clocked in September despite adding 250,000 new non-farm payroll jobs during October. Inflation for October remained at 2% y-o-y in September, consistent with the Fed’s 2% inflation target. Despite robust economic data, investors offloaded US equities seemingly in favour of bonds. The Sygnia 4th Industrial Revolution ETF was the biggest loser, shedding 9.11% of its value. Other US Equity ETFs lost between 2.64% (Sygnia S&P 500) and 4.87% (Satrix Nasdaq 100). The global equity trackers that have a strong bias towards the US also suffered. Bond ETFs returned an average of 3.6%. While developed markets are experiencing some serious sell-offs, we still think robust economic growth prospects from those markets and a negative rand outlook still support a continuation of the offshore investing theme. The international equities offering of the JSE has been expanding. It started off with broad-based themes but now includes property funds and, more interestingly, technology funds. These focused themes are worth looking at, but our finalists in the international category are the world funds – the Satrix MSCI World Equity Feeder ETF and the Ashburton Global 1200 Equity ETF. We like these because they diversify their exposure to the US, which is by far the most interesting developed market now, with exposures to Europe, Japan, Canada and Australia. The choice in this segment is limited to two funds: Satrix MSCI Emerging Markets and the Cloud Atlas AMI Big50. Cloud Atlas AMI Big50 was the best performer during October after growing 5.86%. Nonetheless, we retain Satrix MSCI Emerging Markets because of its diversification. Unlike Cloud Atlas AMI Big50 which invests in African stocks only, Satrix MSCI Emerging Markets invests in a wider range of emerging economies. It invests in stocks in some of the fastest growing markets such as China and India. With a TER of 0.4% the Satrix MSCI Emerging Markets ETF is also cheaper than its peer in this category, which is on a TER of 0.75%. CoreShares Equally Weighted Top 40 ETF retains its top position for domestic equities despite facing strong competition from Absa NewFunds Low Volatility ETF during our review. Absa NewFunds Low Volatility is the only fund on the market which selects stocks based on volatility attributes. However, we decided against NewFunds Low Volatility ETF for two reasons. First, the fund is too exposed to counters which generate most of their earnings from the local economy. Given the prevailing negative narrative around the SA economy, sectors which are favoured by this fund such as financials, healthcare and consumer staples, are likely to struggle. Second, the fund’s small size increases risk of early liquidation. Top 40 funds, albeit having higher volatility measures, overcome these weaknesses. The CoreShares Equally Weighted Top 40 ETF beats other top 40 funds on diversification. The fund CoreShares Equally Weighted Top 40 ETF allocates its funds equally to all 40 constituents which reduces risk of concentrating in a few counters. Typically, fixed-income products such as bonds perform well during periods of low economic growth since they offer fixed interest. However, that is unlikely to be the case for SA bonds. The slow economic growth and the lack of political appetite for fiscal consolidation (in our view), increases the risk of a credit downgrade which is negative for bonds. The NewFunds TRACI 3 Month (up 0.58% in October) is a natural choice because it is least sensitive to sudden adverse interest rate movements. It is like earning interest on your cash at the bank with a minimal possibility of capital loss. However, for a longer investment horizon, protecting your investment against inflation is paramount. We therefore maintain our choice of the Satrix ILBI ETF (up 0.77% in October), which has the lowest expense ratio in this category. Furthermore, nominal bonds add a add a unique risk-return dimension that differs from inflation-linked bonds and improves overall portfolio performance. As we did in equities, investors also need to diversify their bond portfolios internationally. We think investors can choose between Stanlib Global Bond ETF (up 3.85% in October) or Ashburton World Government Bond ETF (up 0.66% in October). They track investment-grade sovereign bonds mostly issued by the US, UK Japan, and selected European countries. Their TERs differ by just 0.05 percentage points with the Stanlib Global Bond ETF being the cheapest. If you rely on your investment income for day-to-day expenses you may want to allocate a portion of your portfolio to ETFs that have a high distribution ratio. Naturally, Satrix Dividend Plus and CoreShares S&P South Africa Dividend Aristocrats come to mind here, but similarly, property funds are high dividend payers. 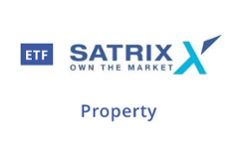 We maintain our choice of the capped fund Satrix Property ETF (up 1.2% in October). It has a dividend yield of 5.87% and its TER is expected to be the lowest in the segment. However, investors can also consider foreign property ETFs. The Sygnia Itrix Global Property ETF (up 1.25% in October), with a TER of 0.25%, is by far the cheapest of the three. Mapps Protect is more conservative, suitable for conservative, usually older, savers. Declined 2.99% in October. Mapps Growth suits investors with a long-term horizon. Declined 5.72% in October. 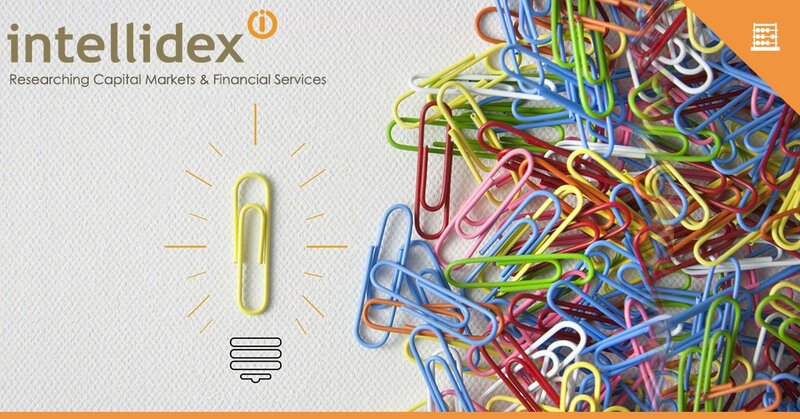 This is just a sneak peak at the insights Intellidex have prepared for you. To see more in-depth analysis and market insights (global and local), check out the full note here. Exchange-traded funds (ETFs) are passively managed investment funds that track the performance of a basket of pre-determined assets. They are traded the same way as shares and the main difference is that whereas one share gives exposure to one company, an ETF gives exposure to numerous companies in a single transaction. ETFs can be traded through your broker in the same way as shares, say, on the EasyEquities platform. In addition, they qualify for the tax-free savings account, where both capital and income gains accumulate tax free.